Repiping Services - Eagle Plumbing and Heating Inc.
Searching for professional Bellingham repiping services? Get in touch with the certified professionals at Eagle Plumbing & Heating. Call us today at (360) 318-9999. For discounts and savings on several of our valued services, click here. Unfortunately, the pipes inside your home are not going to last forever, and there will come a time when they need to be replaced. The highly skilled professionals at Eagle Plumbing & Heating provide expert repiping services to homeowners in Bellingham and the surrounding areas, in order to ensure that your plumbing systems continue to offer safety and convenience to your entire family. When it comes to plumbing issues in the home it is always important to make sure that they are taken care of as soon as possible in order to avoid potentially hazardous complications. 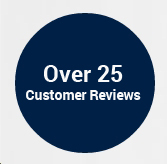 To read reviews from other customers in your area on our specialized plumbing services, click here. What are some common reasons that you need to repipe your home? When making a decision to replace your pipes, it is extremely important to talk to a certified plumbing professional. Whether you are experiencing a minor leak or your pipes have completely worn down and need to be exchanged before a serious problem occurs, the licensed professionals at Eagle Plumbing & Heating can determine the best course of action for your particular situation. We will discuss your options and tailor our services to the specific requirements of you and your home. Why do polybutylene and steel pipes need to be replaced? Polybutylene and steel pipes need to be replaced more often, because they are made from materials that do not hold up very well against a steady stream of water. Your galvanized steel or polybutylene pipes may still be working, but it is a good idea to have them switched out before your are faced with a serious plumbing emergency. Also, if you have just moved into an older home, it is possible that these pipes were used in the construction of your plumbing systems. Our reliable professionals will come to your residence and perform a proper inspection, checking the materials that were used, in order to determine if a whole-house repiping service is necessary. What are the benefits of copper and PEX pipes? Copper and PEX are the two most commonly used pipes for most homes. Copper and PEX pipes offer some significant benefits that will ensure the continued efficiency and optimal functionality of the plumbing systems inside your residence. Copper pipes have been used in homes for decades, because they are sturdy, relatively simple to repair, and can be easily fit into tougher areas of a property. For a whole-house repipe, copper is a wise choice. PEX piping works well for people who live in colder climates, as they will not freeze. Frozen pipes have a tendency to rupture, which can cause massive damage to your home, but with the installation of PEX pipes this situation can be avoided. PEX pipes can be easily repaired, fused back together, or quickly cut away for a replacement. If you are in need of repiping services, the personable professionals at Eagle Plumbing & Heating will help you to choose the type of pipes that will work best for your home and budget. For quality repiping services in your area, contact the specialists at Eagle Plumbing & Heating. Call us today at (360) 318-9999.